She Writes Press, 9781631523410, 288pp. 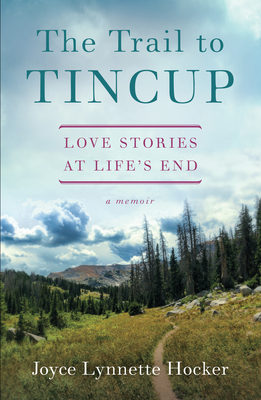 In The Trail to Tincup: Love Stories at Life's End, a psychologist reckons with the loss of four family members within a span of two years. Hocker works backward into the lives of these people and forward into the values, perspective, and qualities they bestowed before and after leaving. Following the trail to their common gravesite in Tincup, Colorado, she remembers and recounts decisive stories and delves into artifacts, journals, and her own dreams. In the process the grip of grief begins to lessen, death braids its way into life, and life informs the losses with abiding connections. Gradually, she begins to find herself capable of imagining life without her sister and best friend. Toward the end of the book Hocker's own near-death experience illuminates how familiarity with her individual mortality helps her live with joy, confidence, and openness.